The new iPad Air and iPad mini are packed with new features. But if there’s one place Apple had to cut corners in order to keep the price down, and it’s the cameras. Needless to say that Apple has outdone itself in the tablet space and the company has one of the most solid tablet lineup it ever has in years. From the powerful A12 Bionic in the new iPads to a fully laminated display, Apple has answered the prayers of many. But of course, in order to keep the price down and offer a mighty boost in performance, Apple had to cut a few corners. 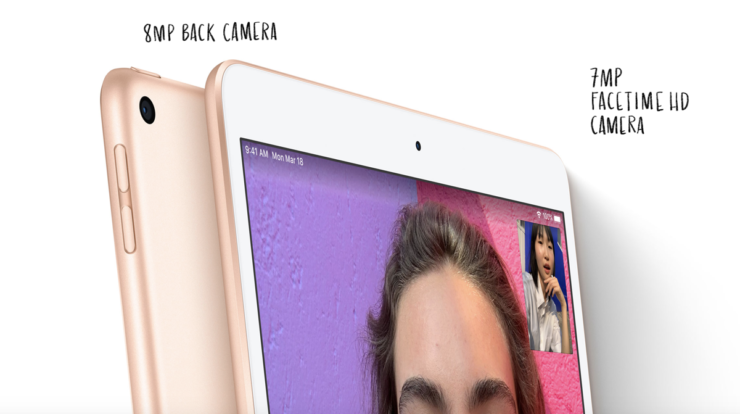 In the rear-camera department the iPad Air and iPad mini feature the same camera as the cheaper $329 iPad. This means that you get an 8-megapixel sensor with an f/2.4 aperture, 1080p video recording at 30 frames per second, regular HDR, Live Photos and more. 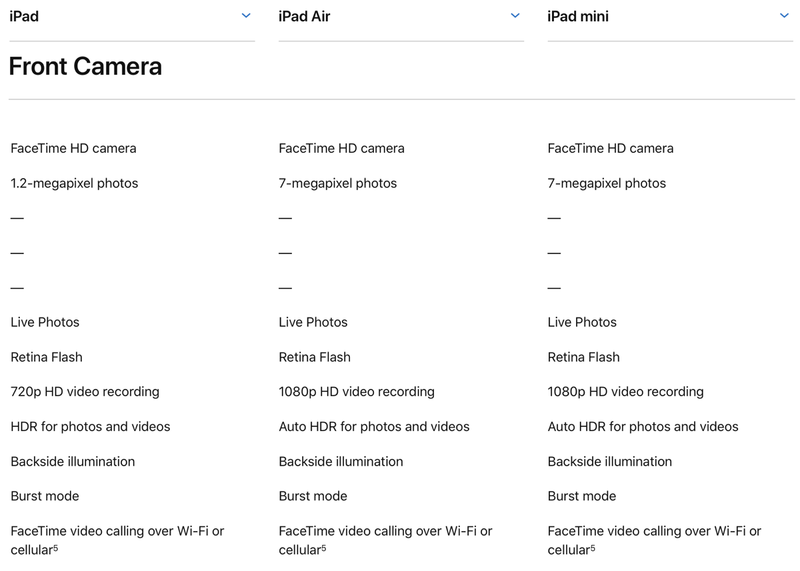 But things have slightly improved if you are going to use these tablets for FaceTime calls as the front sensor features a resolution of 7-megapixels. This allows the tablet to record full HD 1080p video instead of just 720p compared to the $329 iPad 6. Things are topped off with the usual Auto HDR, Live Photos, etc. feature. If you’ve been holding your breath for a tablet that would shoot video in stunning 4K, then it’s safe to say that these aren’t the tablets you should get. 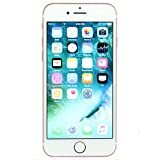 Instead, you should invest in the now-discontinued iPad Pro 10.5-inch which offers a set of cameras that sit in the iPhone 7. But of course, it’s going to cost you some money. Slightly more money in some cases. 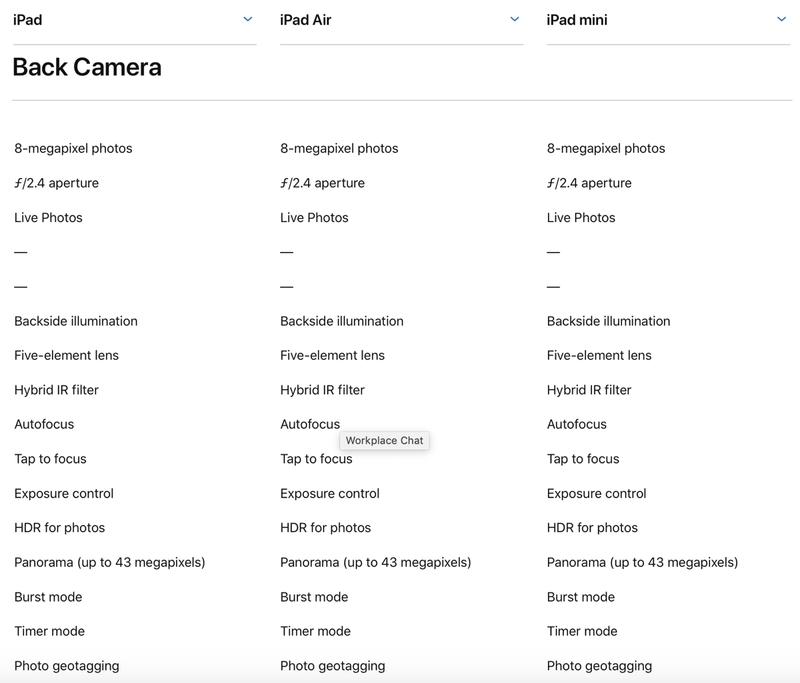 All in all, looking past the cameras, which I’m nitpicking after, the iPad Air and iPad mini represent great value for money especially when you realize what it has to offer in the performance department. You’re essentially getting the same brain power as the iPhone XS, iPhone XS Max and iPhone XR, which is a huge deal. Apart from that, Apple Pencil is a welcome addition in these tablets, especially for those who demand this sort of thing.